"The Royal Tea Society celebrates friendships, social enjoyments, culinary delights, and historic and educational moments presented in the proper Victorian tradition of afternoon tea." I am honored to be one of the founding members of the Royal Tea Society! The first event is the Signature Tea Tasting on February 15th and I'm excited to be participating in the designing of "Her Royal Highness" signature tea blend. Certified tea expert Pamela Schaefer is owner of Special Tea Shoppe and the woman behind the Royal Tea Society. 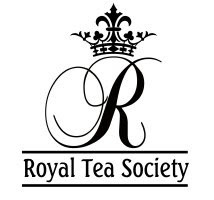 I am delighted to join the Royal Tea Society to further my education in tea and hopefully be able to assist my brides in planning tea parties for their bridal showers or conduct Chinese Tea Ceremonies for my Chinese brides!